Two University of the South Pacific journalism academics today met with creative industries staff at Auckland University of Technology to discuss plans to bolster collaboration and looked in on AUT's impressive media facilities. USP's journalism coordinator Dr Shailendra Singh and colleague Eliki Drugunavelu are on an Asia-Pacific research trip to Auckland. They met with AUT's Faculty of Design and Creative Technologies dean Professor Guy Littlefair; School of Communication Studies acting head Dr Frances Nelson; associate dean postgraduate Dr Rosser Johnson; and Pacific Media Centre director Professor David Robie. They discussed proposals for expanding the long-standing journalism collaboration between the two universities to enable more student and staff exchanges, joint research and the ongoing cooperation with the research journal Pacific Journalism Review. 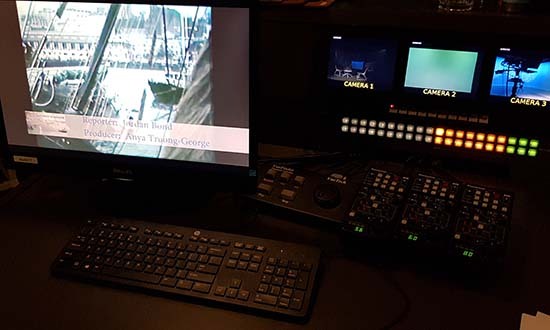 The two programmes have collaborated for more than a decade and currently run joint international journalism assignments, which have included covering two Fiji general elections, and the current Bearing Witness climate change mission in partnership with the Te Ara Motuhenga documentary collective. 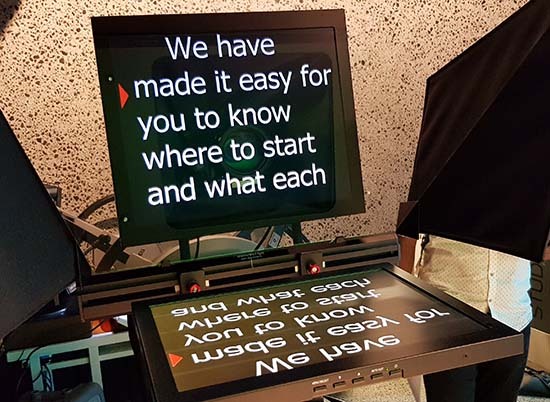 They also share publication of student assignments and staff contributions on the Wansolwara News (USP) and Asia Pacific Report (AUT Pacific Media Centre) portals. 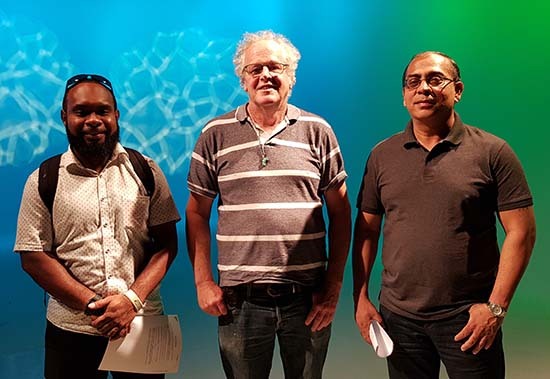 After the meeting, communication studies senior technician Scott Creighton hosted Drugunavelu and Dr Singh on a visit to the school's three television studios and the Media Centre editing suites.